World Mental Health Day raises public awareness about mental health issues. The day promotes open discussion of mental disorders and investments in prevention, promotion, and treatment services. The World Health Organization’s definition of health is “a state of complete physical, mental and social well-being, and not merely the absence of disease.” Mental health is related to the promotion of well-being, the prevention of mental disorders, and the treatment and rehabilitation of people affected by mental disorders. 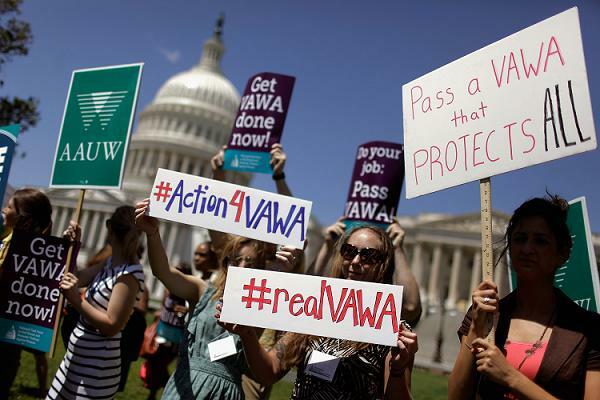 Act Now – Pass VAWA! Congress has just a few days to get to work on the Violence Against Women Act before they leave for the entire month of August – and then only a few short days in session before the congressional session ends on October 1. Please take 5 minutes to call or write to your own Representative and both Senators in your state! Since the April passage of a Senate version and a May House-passed version of VAWA, Congress has still not signed the act into law. Congress will go home the first of October and may not come back until after the elections. We have no time to lose! Call your legislators and write letters to the editor, especially if you are in Alaska, Arizona, California, Colorado, Florida, Idaho, Illinois, Indiana, Louisiana, Massachusetts, Maine, Michigan, New Hampshire, Nevada, New York, North Dakota, Ohio, Pennsylvania, Tennessee, Texas, Washington, or Wisconsin. Let them hear what you have to say before they go on vacation! Everyone loses if VAWA isn’t finished— all victims need the many improvements in this version of VAWA. What can you do to help?